On the occasion of the birthday anniversary of Prophet Muhammad (PBUH), about 400 different cultural programs and art events will be held across the Iranian capital from November 20 to November 25. 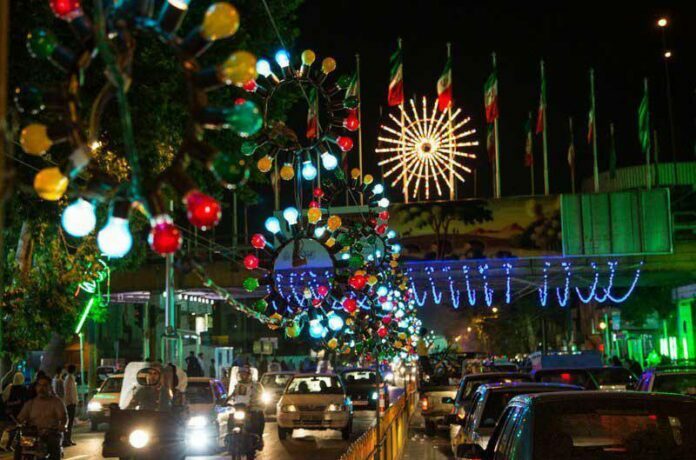 The events will be held as part of the Festival of the Prophet of Kindness, which is going to be held during the Islamic Unity Week in 10 special places and main squares of Tehran. According to ISNA, several workshops of calligraphy, music, narration, poetry, illustration, painting, caricature, wood carving and mosaic, pottery and ceramics, and doll making would be run during the week. Ten food exhibitions, along with a black tent of Iranian ethnic groups in 10 places of Tehran, will be open to visitors during the festival. Moreover, six flower caravans will move in six directions across Tehran for 6 days. Cultural and artistic programs along with the performance of tribal music are among other programs, during which flowers will be given to the people. Student chorus groups are scheduled to sing songs for 6 days in subway stations. Every day, they would have four performances. The International Festival of the Prophet of Kindness, with the presence of foreign and domestic groups, will run from November 22 to 25 with the performance of folk music groups. 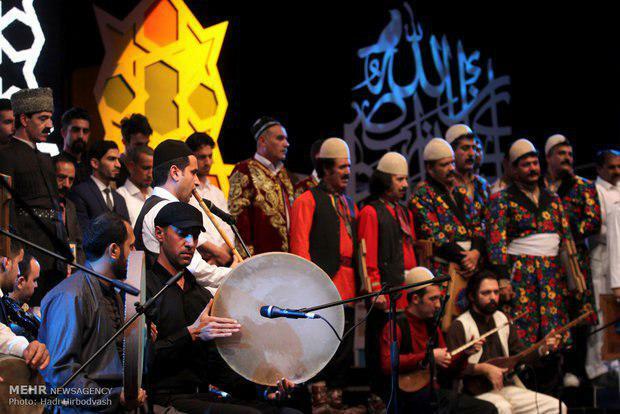 Musicians from Kurdistan, Sistan and Baluchestan, Lorestan, Khorasan, Bushehr, Gilan, Golestan and Khuzestan provinces, as well as bands from Turkey, Azerbaijan, India, Syria and Iraq will perform in selected cultural centres. 1,000 daf playing programs will also be carried out on the occasion of the birthday of the holy Prophet. Also on the night of the birthday of the Prophet (PBUH), an amphitheater will be inaugurated and the movie “Muhammad: The Messenger of God” directed by Majid Majidi will be screened free of charge for three days. The movie would also be screened in mobile cinemas. In order to get acquainted with the Islamic culture of Iran, foreign guests will be taken to tours of Tehran’s attractions. Buses and subways give free-of-charge services on the day, and all cultural, sporting, and artistic centres give citizens services with 50% discount. The Islamic Unity Week is an annual event commemorated by both Shiite and Sunni Muslims as a sign of solidarity among different Islamic schools of thought. The week is held between two dates of the birthday of Prophet Muhammad: one of the dates is narrated by Sunnis and the other narrated by Shiites. The week was named so by Imam Khomeini based on a proposal by Ayatollah Montazeri in reaction to Saudi Muftis’ attacks on Sunnis and Shiites. The two dates are the twelfth of Rabi Al Awwal (Nov. 20 this year), the first week of the third lunar month of the Islamic calendar, according to Sunnis, and the seventeenth of Rabi al Awwal (Nov. 25 this year), according to Shiites.